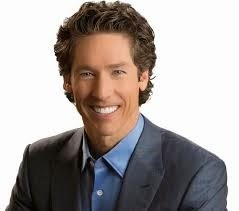 Please enjoy today's spirituality post by Joel Osteen. Today’s verse talks about two blind men that no one really paid attention to. No one gave them much of a chance — but Jesus did! All through scripture we see that He had such great compassion and mercy, everywhere He went and He still has it today. Maybe you feel like life has overlooked you. Maybe you feel like the people around you don’t really see what you are going through. Today, know that God sees you. He’ll never overlook you even when people overlook you. He is good and no matter what has happened in your life, remember that His mercy endures forever. Notice what these men did — they called on Jesus. Even when people tried to quiet them, they called even louder. They had confidence that He would hear them and you can have confidence, too! Be bold and step out in faith, call on Him and trust that He sees you and hears you and He will have mercy! God, thank You for Your great mercy and grace. With Your help, I want to step out and act on my faith so that I may see Your great works in Jesus’ name! Amen.